Zakael grins from ear to ear. Surgeons have removed the tumor that had grown on his neck for 7 years. About 5 billion people worldwide do not have adequate access to surgical interventions. Every year, 143'000 surgeries are lacking. Behind every statistic is a story, a life - a person waiting for hope and healing. 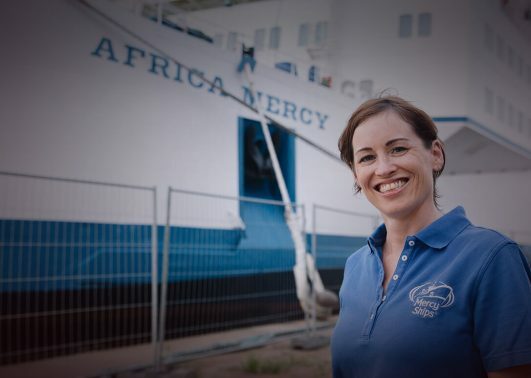 Mercy Ships exists as a compassionate response to a world in need. Together we are part of one race on our planet, irrespective of country, creed or color. Discover the stories of lives transformed through hope and healing! 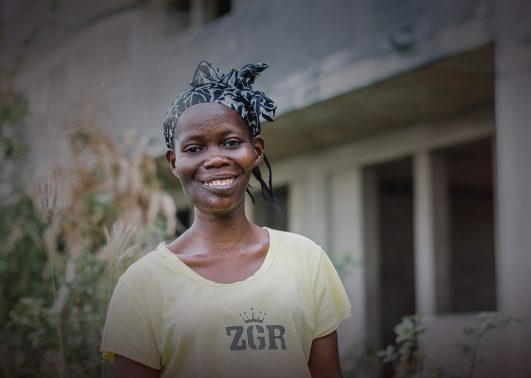 When 25-year-old Mercy arrived on the Africa Mercy to be seen by the screening team she was in a state of depression; on our hospital ship, she found hope again! High up Mount Manengouba in Cameroon, through rocky terrain and lush foliage, lies the beautiful village of Bororos. The journey to Bororos consists of a steep, uphill horse ride surrounded by craggy rocks with only wildlife for company. 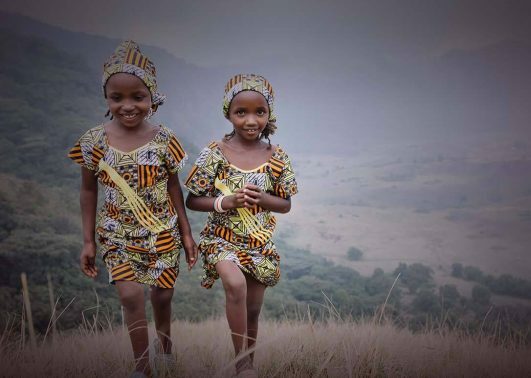 But two little girls, sisters Salamatou and Mariama, had never left their village high in the hills of Cameroon because of their twisted legs. When he first arrived on the dock of the Africa Mercy cradled in his mother’s arms, Paul was a ghost of a baby. 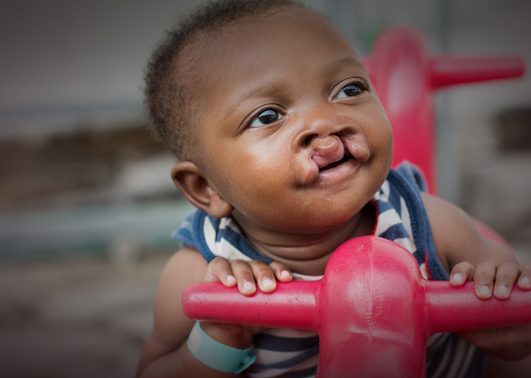 He was born with a cleft lip and palate that made it nearly impossible for him to nurse, and at just three months old he was slowly starving. Dr. Guy goes back on-board the Africa Mercy every year. His greatest pleasure: restoring the sight of people suffering from cataracts. Our volunteers are selfless servants. They deliver the highest quality care to individuals who otherwise would have little access to medical services. And they pay their own way, so every dollar donated to Mercy Ships can go directly to helping the world’s forgotten poor. 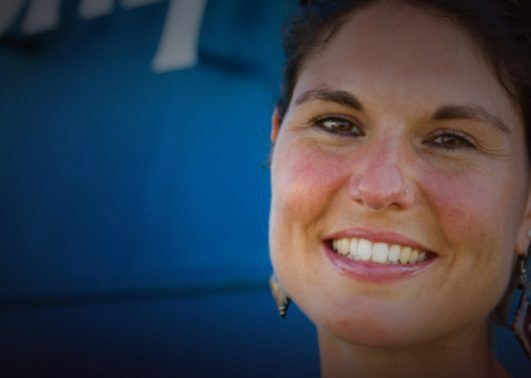 After several different appointments within the Mercy Ships organization, Sophie has led the “advance team” in Guinea in 2018. 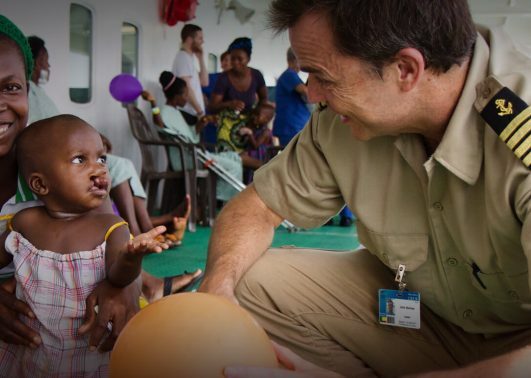 John Borrow is the Captain of our hospital ship, the Africa Mercy. After each engagement, Sarah comes home full of joy and thankfulness: she has had the privilege of sharing both good and sad times with other people.